Many a time, when I open a dictionary or when I see new words cropping up every other day, I wonder, WHERE DOES THESE WORDS COME FROM? 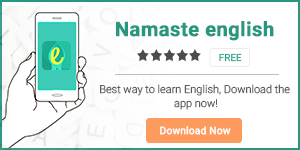 यकीनन आपके मन में भी कभी ये सवाल आता होगा की phrases or words, difficult or interesting or new, जो भी हम सुनते हैं, पढ़ते हैं या आम बोल चाल में use करते हैं, ये आखिर आते कहाँ से हैं? Who made the vast English vocabulary? शायद इस बात का जवाब ढूंढना मुश्किल है पर फिर भी we have some explanation. There are words that have been invented but a large part of any language’s vocabulary has evolved from other foreign languages. But then, there are certain words and phrases that never loose their originality and people tend to use them as they are. Some foreign words and phrases are so common in everyday language that you hear or read them quite frequently. Meaning: Pro bono is the short form of ‘Pro bono Publico’ जिसका अर्थ है कोई ऐसा काम जो की जनता के हित में या उनकी भलाई के लिए किया जाए, खासकर कोई legal help जिसके बदले में कुछ कम फीस या पूरा ही खर्च ना लिया जाए।. • The lawyer’s pro bono work with the homeless is something that we all should praise and promote. • John became the de facto man of the house when his father was killed in a car accident. • The jeweller stated that the large diamond was bona fide and valuable. • The enemy of one’s enemy may be ipso facto a friend. • Please don’t be so formal dear and just enjoy the party. Mi casa, Su casa! • Minimum à la carte order for delivery is two meals. • Sam is a little scared about the vis-à-vis meeting with his boss. • Our duty is to make our country a better place for all of us, without hidden agendas or quid pro quos. • After all, we’re all human – ergo, we make mistakes. • I’m going to Europe next week for my new job. Hasta la vista my love. Don’t forget to read the previous blog ‘Foreign Words and Phrases Used in Everyday English-1′. You’ll find more such examples there. I hope you all learned something new.